Brunch at the first Riga-based DUNE LONDON store. Do I need to comment on my love towards British brands? Being a 'Latvian Londoner' in the past it takes this special place in my heart when British brands join Latvian retail market. And the fact that the brand is of high interest and appeal to you only adds the twist to it. Burberry, Marks & Spencer, The Body Shop, Costa Coffee - ask every single passer-by in the streets of Riga and he will immediately tell you "It's the best of Britain". Though this British pack is still lacking a good couple of names, one of which, by the way, was added to the list nearly two months ago. I bet you know what brand I'm talking about. It's DUNE LONDON. 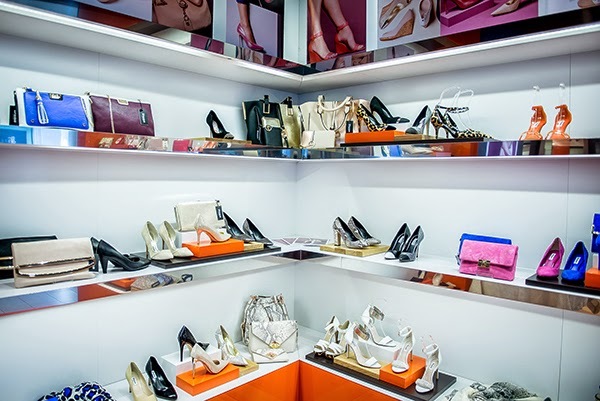 At the time when Latvian retail faces a heavy foreign invasion, near-to-iconic British footwear and accessory brand opens its first store in Latvian capital. 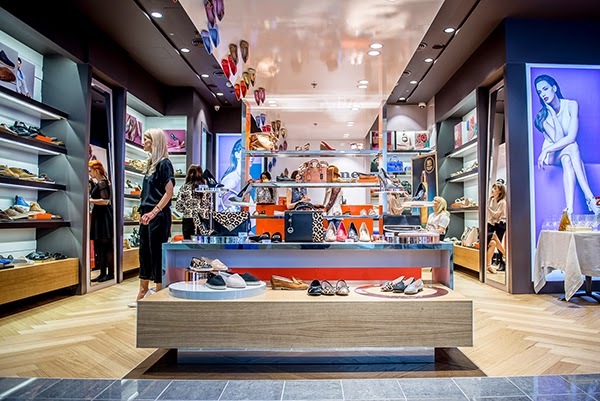 To add some more drama, it's also the time when Latvian retail market heavily suffers from the lack of preference of serious, if not to say global, footwear market giants. So, the already established in local market trio of Zara-H&M-Aldo, whose footwear and accessories are of friendly price ranges for the majority of Riga population, see the entrance of the fourth musketeer - DUNE LONDON. 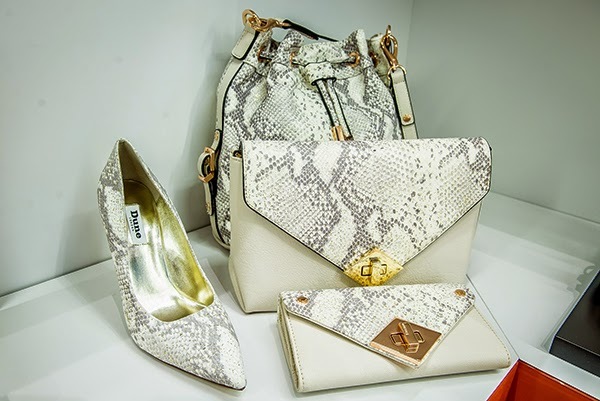 Brand with global reputation and 300 stores worldwide, quite a respectful experience of 20 years, as well as wide offering that can be characterized as lifestyle-friendly, seems to have conquered hearts of local fashionistas. 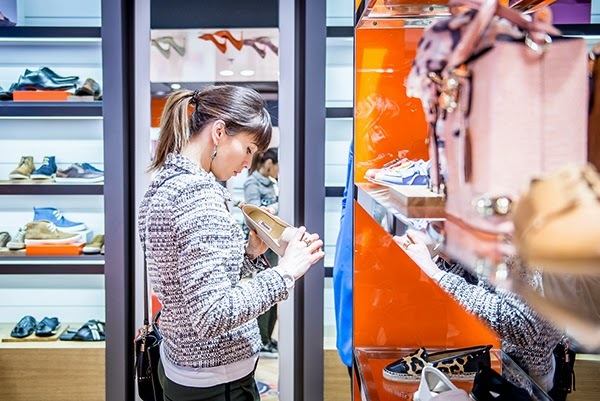 If we refer to actual numbers of Central Statistical Bureau of Latvia, the retail trade's turnover of non-food products that includes fashion products grew by 3.6% in a year 2014 comparing to the year 2013. It means that the income of Latvian retailers (i.e. local and foreign retailers that are present across the country) is at the rise. And it actually is, as the recent figures by CSB states that February-dated turnover of non-food retailers grew by 1.2% comparing to January (of the year 2015). Which is definitely a positive sign both for the retail market and for local population, as the rise of retail income is a result of consumer's ability to shop. Quite a tricky formula? Let me put it in other words. 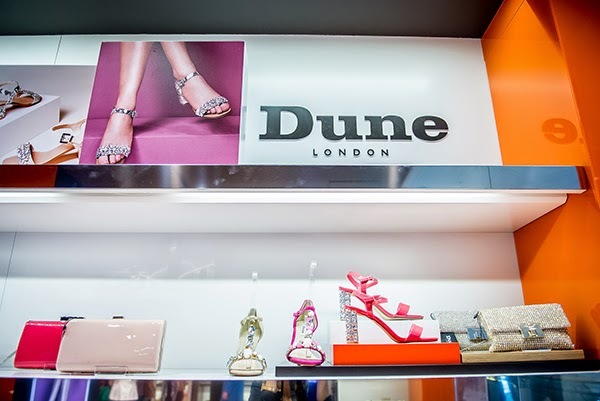 The figures are a sort of indicators that show changes, positive or negative, in a certain sector, market, country, so when the brand, like DUNE LONDON, considers an expansion into a certain market such figures comes as an essential part of its strategy and affects the final decision, whether expand or no. Taking into consideration the figures above, it's clear that Latvian retail market is on the rise, therefore, it's understandable why so many foreign brands keep coming. Moreover, it's clear why DUNE LONDON made a move towards opening the first Riga-based store of its own. Though the decisions are not made according to figures alone. So it's crucial for every single brand to find out whether its offering is something locals need or no. I have already indicated the problem with footwear market players above. 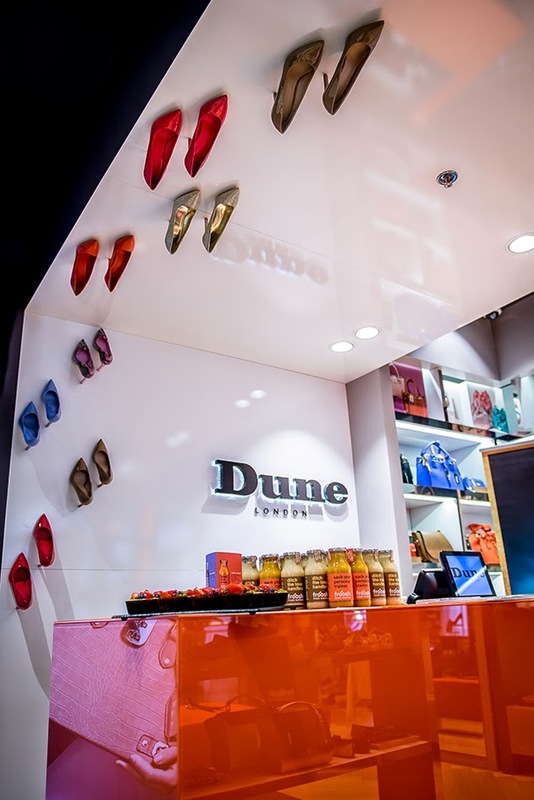 To add, months ago I have already discussed the topic of footwear brands in Latvia and now it seems to me that DUNE LONDON is in some sense the answer that was given to me, and many other Riga people, from the universe. 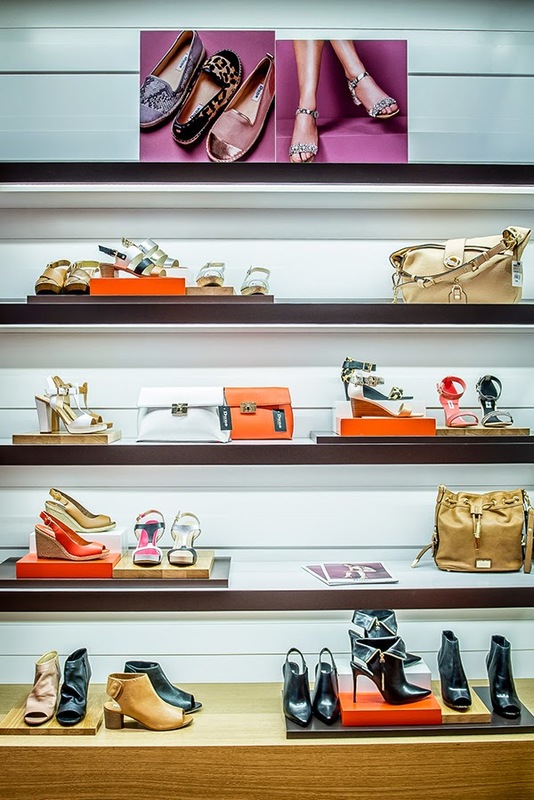 Going back to the three musketeers of Latvian retail that are able to deliver fashion-forward footwear and accessories for affordable prices, we need to admit that even having these three we still sometimes fail to find the styles we are looking for. The fourth market player, in the face of DUNE LONDON, increases our chances, even if just a bit, to find desirable pieces. Having come across DUNE LONDON back in London I'm already familiar with its concept and offering in general. Moreover, I know that half of London, the actual figures are basically known only by the brand I guess, but well, a good part of London inhabitants are strolling, running and even flying through the streets of the city of Big Ben in a pair of DUNE LONDON shoes or with brand's bag in hands. 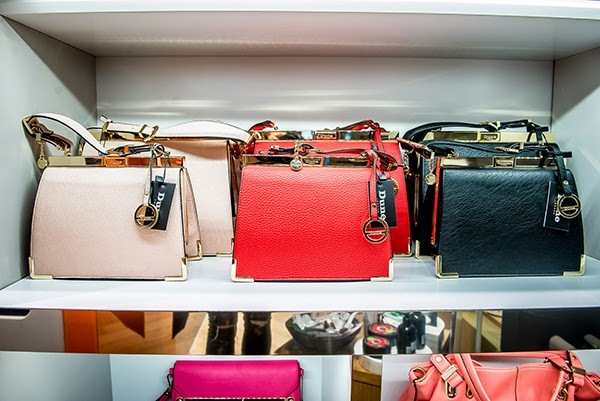 Affordable prices, appropriate quality and a mix of trendy 'n' elegant offering aims to set the brand apart in Latvian consumer's minds just the way it did in many other countries. Now we are familiar with the brand and even superficially covered Latvian retail. So it's high time to move on towards the store itself. Have to say that I adore retail topic, just like many other ones that cover fashion business system. To be totally honest, Fashion Retail course was one of my most favorite ones while at university. So let me just jump into this topic. 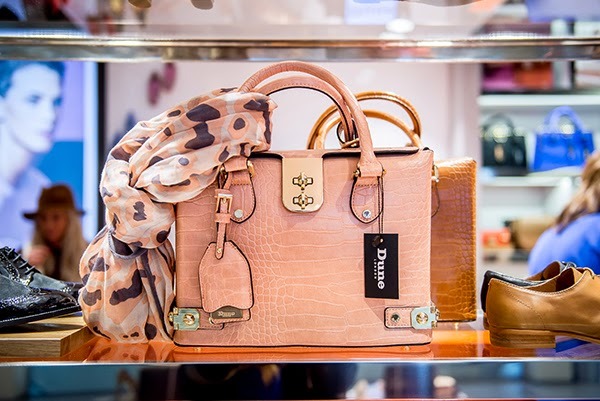 The first DUNE LONDON store in Riga has two in-store features that make it stand out from tough rivalry. First one is hidden in the interior - it's a ceiling installation made of heels. 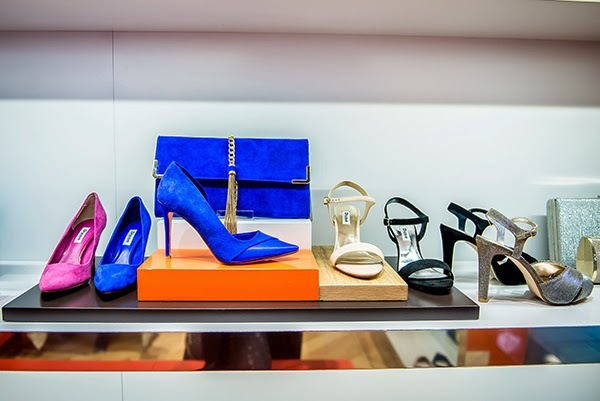 It perfectly reflects the concept of DUNE LONDON, as well as adds to your overall impression of the store. Need to say that I didn't notice it straightaway, but the moment I did I couldn't stop staring at that ceiling runway. The second store feature is more noticeable, as it literally lies underfoot of store's visitor. It's a very special #duneshoefie, so it's like selfie, but for a favorite pair of brand's shoes you are trying on in a store. With a very London-esque design this shoefie platform is made for some serious Instagram-addicted personalities. 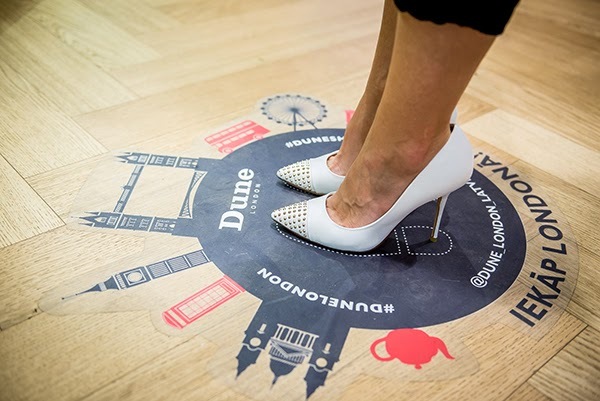 The entertaining feature with slogan 'Step Into London' is available, if not in every single DUNE LONDON store, then, at least, in many as says our little Instagram hashtag-study. 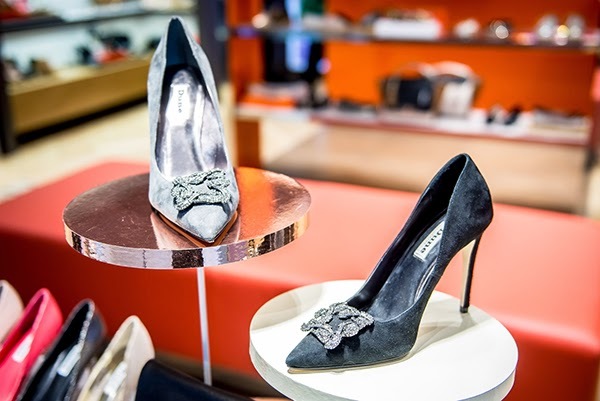 The two in-store features bring the entertainment factor that highly affects your experience with this British brand. At the end of the day, that's why retailtainment strategy is crucial these days, it only makes you want to come back to such kind of a store. 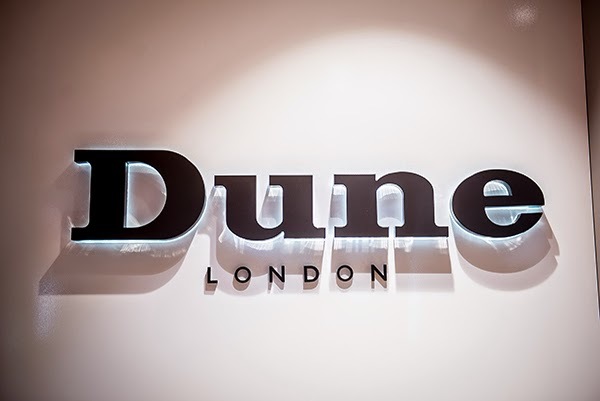 Speaking of the DUNE LONDON brunch itself that practically happened to be a source of inspiration for this story and such an in-depth insight. The presentation held by Estonian representer of DUNE LONDON, Evelina Salu-Tammerau, and Latvian stylist Anita Altmane was filled with this British essence of the brand, the country where all this serious research of the fashion industry started. So I simply couldn't keep myself away from some serious research process. Plus, let me repeat myself once again, such an entertaining atmosphere of the store couldn't be left aside with no retail vocabulary involved. Don't you agree? Did I find favorites while brunching at the first Riga-based DUNE LONDON store? Yes, madam. So I have a couple of shoes that I've already put on my wishlist, but I would rather keep it a secret fro nor, because you know, we girls are so shifty in our preferences. I can say only one thing, and those of you who keep following me on Instagram know what I'm talking about, this pair of a modern Cinderella shoes is pretty popular among Latvian ladies. Curious which one? Then I highly recommend you to go visit the store and maybe our preferences will somehow meet, who knows?